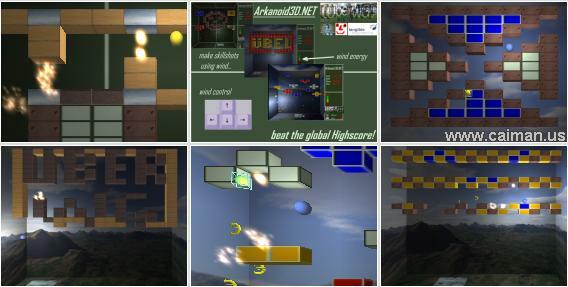 Caiman free games: Arkanoid3D.NET by UberWG. 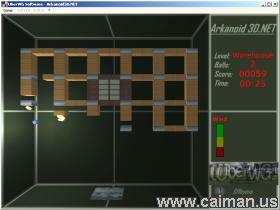 A great 3D breakout with cool metal sound effects. 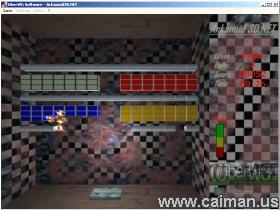 It's a fantastic arkanoid clone with some powerups, many levels, etc... Nice sound and light effects. There is an in-game level editor and a campaign builder. Every Campaign has it own HighscoreList. To get into the HighscoreList you have to submit your Score after playing the Campaign. The HighscoreList is cleared when the Campaign changes.